Some things just go together. PB&J. Cheese and wine. Buffalo sauce and everything. Dang, am I hungry? Mustard and black and white is one of these "go together" things...I promise I'm not going to try and eat them. No, no promises. Hunger is nothing to play with. 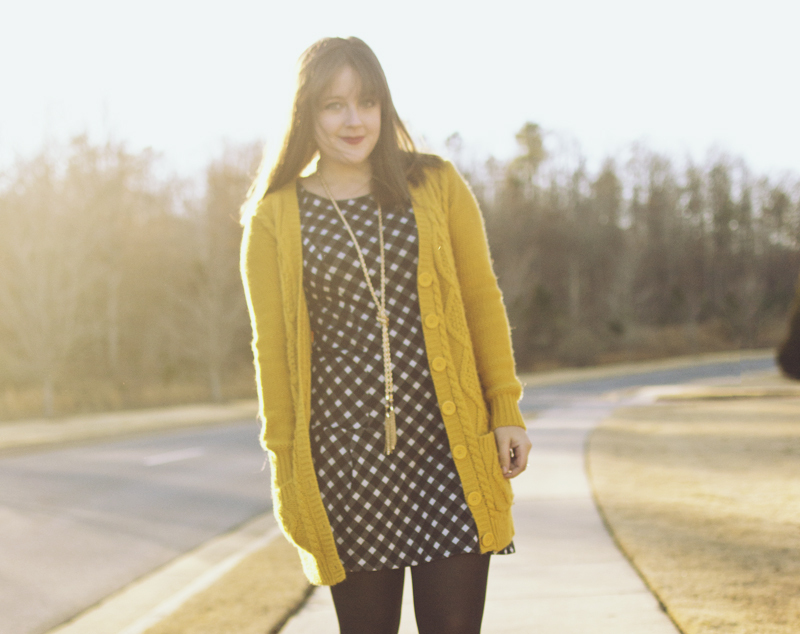 Mustard Cardigan, Forever 21 (similar from The Limited. Also here's one that's furry. What??). Black & White Dress, Target (exact).